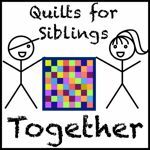 The lovely Lynn from 'Lilly's quilts' became aware of a fantastic charity that tries to bring together siblings that have been separated by the UK care system. I can only imagine with a lot of difficulty how hard it would have been for me if I would have been separated from my sister or brother at a young age. 'Siblings together' have a summer camp running this summer where they are bringing together siblings to spend quality time with each other. Lynn's idea was to donate as many quilts as we can to the children and teenagers in the camp. I for one think it is a great idea and I immediately volunteered to make a quilt out of received blocks (bit like a Bee without the Bee so to say) as I can imagine that there are a lot of quilters who are willing to help but may not have the time to make an entire quilt. Anybody who wishes to participate and contribute one or a couple (as many as you wish) log cabin style blocks should head over to the flickr group and to my thread Project 1 and sign-up. 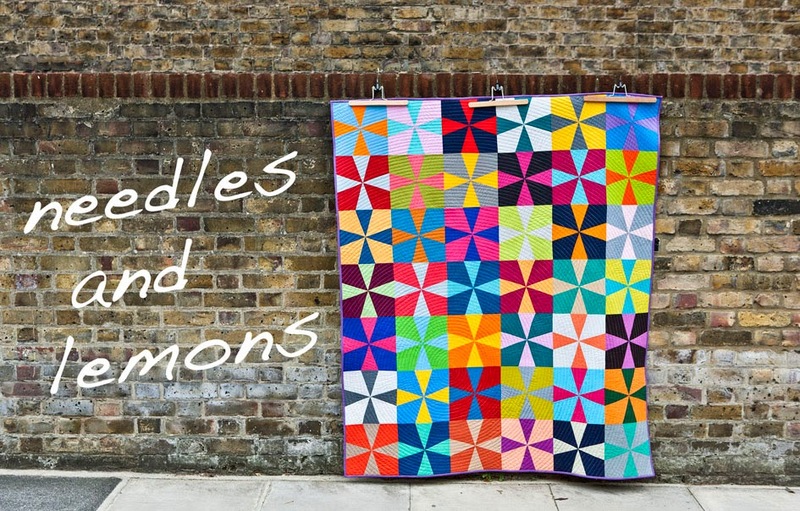 Imagine the smiles and warmth we can bring to those kids with a lovely handmade quilt. Hi, I just linked this to the LMQG Facebook page so hopefully everyone will know about it before Sunday's meeting.